This may be a little late but a friend told me about his 4S losing all of his contacts when he updated to ios 5.0.1. The updates went perfectly for me on my 4. What you need to do to fix this and restore your contacts is restore it to factory settings. Their should be a clean version of the update coming out soon. The good news is Apple averages one mistake per year so you shouldn’t have another major glitch for the rest of your two year agreement if you have the 4S. 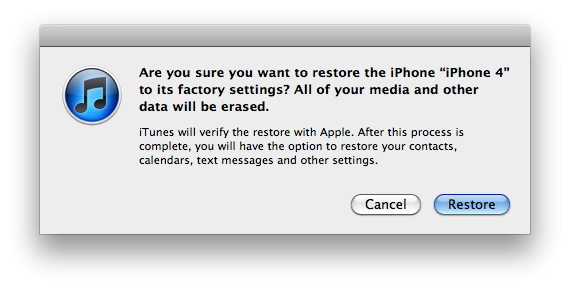 Try restoring the iOS device if backing up and erasing all content and settings doesn’t resolve the issue. Using iTunes to restore iOS devices is part of standard isolation troubleshooting. Restoring your device will delete all data and content, including songs, videos, contacts, photos, and calendar information, and will restore all settings to their factory condition. Before restoring your iOS device, Apple recommends that you either sync with iTunes to transfer any purchases you have made, or back up new data (data acquired after your last sync). If you have movie rentals on the device, see iTunes Store movie rental usage rights in the United States before restoring. Verify that you are using the latest version of iTunes before attempting to update. Back up your pictures which have been known to disappear in this fix. I recommend a free account on the box.net app which gives you 50GB free of picture storage. Select your iPhone, iPad, or iPod touch when it appears in iTunes under Devices. When prompted to back up your settings before restoring, select the Back Up option (see in the image below). If you have just backed up the device, it is not necessary to create another. Select the Restore option when iTunes prompts you (as long as you’ve backed up, you should not have to worry about restoring your iOS device). The final step is to restore your device from a previous backup. Let Us know below if it worked for you. We tested it and it worked.